The Air Force Research Laboratory has built the world’s largest neuromorphic digital synaptic supercomputer, using IBM’s TrueNorth technology. 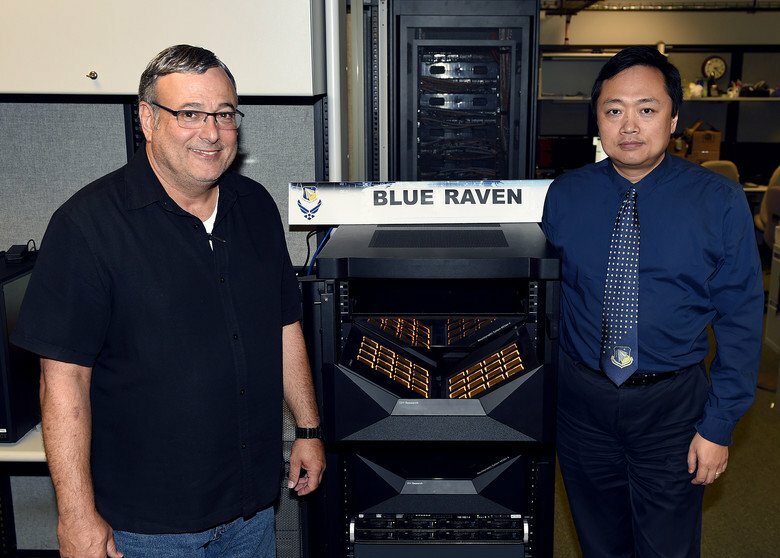 Blue Raven, installed at AFRL’s Information Directorate Advanced Computing Applications Lab in Rome, New York, is the culmination of a partnership between the Air Force’s R&D division and IBM that was announced last year. AFRL claims the new supercomputer has a processing power that is equivalent to 64 million neurons and 16 billion synapses, while only consuming 40 watts. The system fits in a 4U-high (7in) space in a standard server rack. “AFRL was the earliest adopter of TrueNorth for converting data into decisions,” Daniel S. Goddard, director of information directorate at AFRL, said in 2017. TrueNorth chips were originally launched in 2014 after several years of research as part of DARPA’s $53.5 million SyNAPSE (Systems of Neuromorphic Adaptive Plastic Scalable Electronics) program. In 2016, Lawrence Livermore National Laboratory and IBM collaborated on a TrueNorth machine to help the National Nuclear Security Administration (NNSA) in its core missions of cybersecurity and stewardship of the US’ nuclear weapons stockpile, and promotion of nonproliferation. Blue Raven’s project manager is Mark Barnell, who also led AFRL’s PlayStation 3 Condor Cluster, while the system’s principal computer scientist is Dr. Qing Wu. AFRL notes that it is currently investigating applications for the technology, but highlighted pattern recognition and integrated sensory processing, as well as the challenge of autonomous systems.